It's a WRAP! 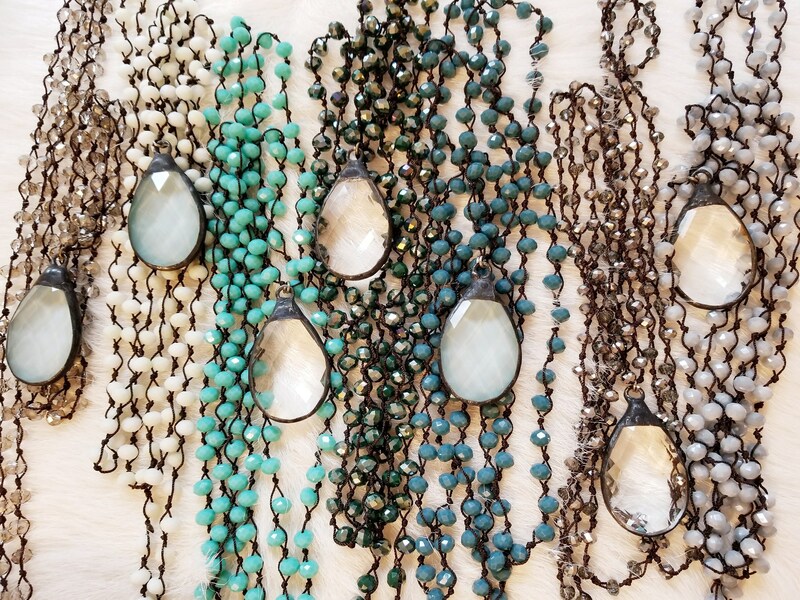 These necklaces are versitile and comfortable as well as super CHIC! 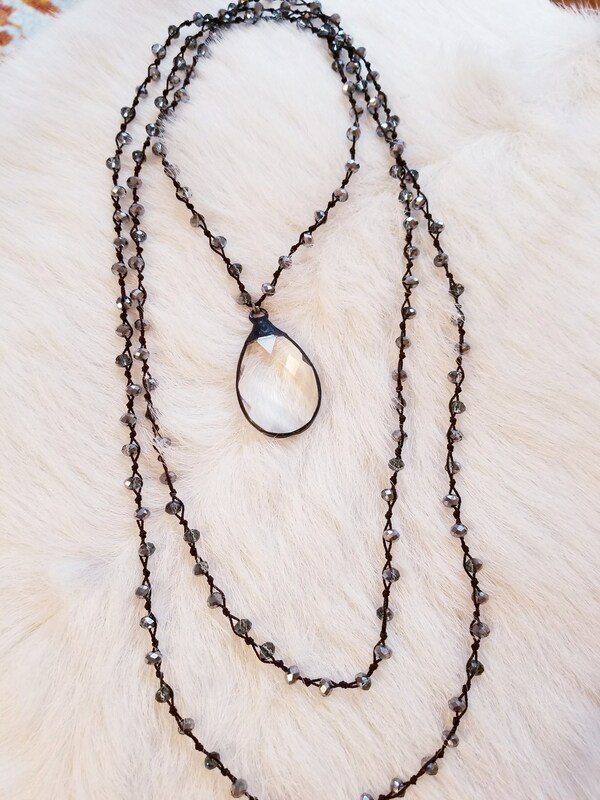 Made from faceted crystal beads that have been woven into a extra long chain that can be wrapped up to 3 times! 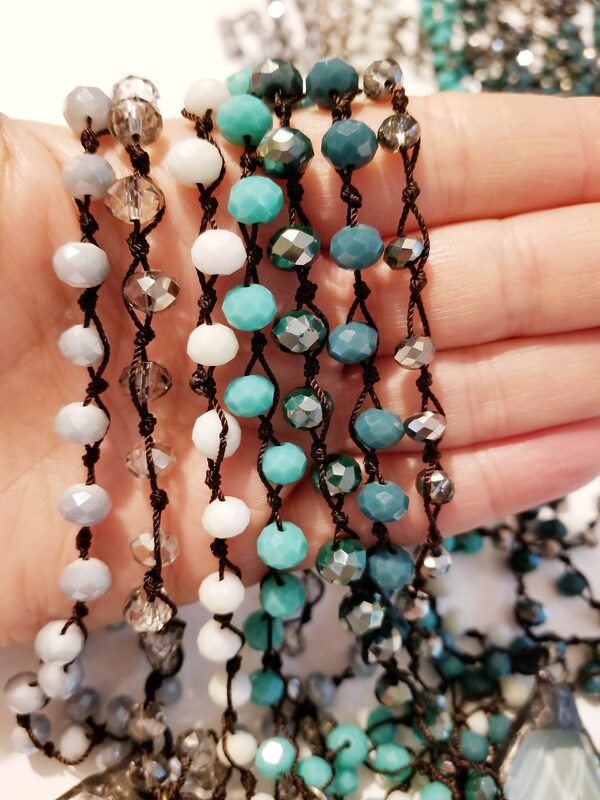 I've added an extra pop of shimmer with these large tear drop chandelier crystals that have been hand soldered in either clear or painted robin's egg blue. 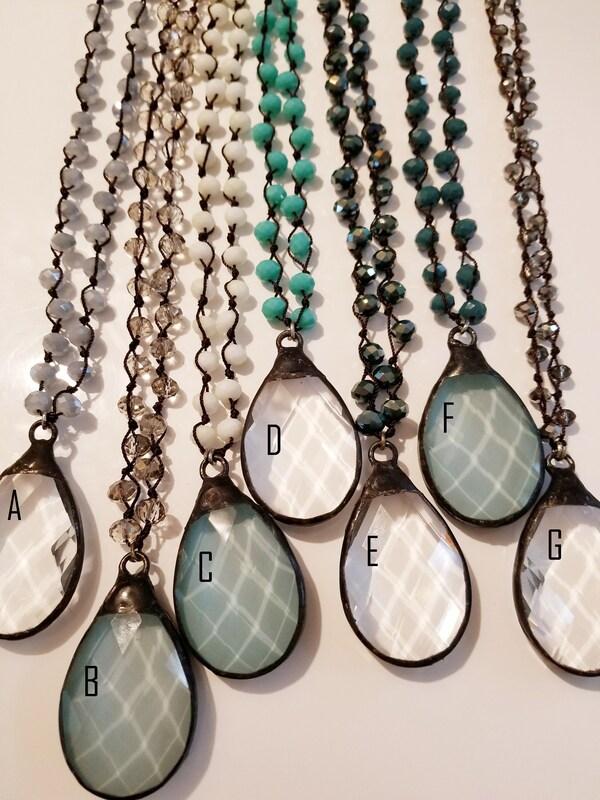 This listing if for ONE necklace, choose your favorite from the drop down menu ( corresponds to the third image). I don't mind switching the crystals around either so long as they are available! Overall length of chain is 72".